Hino Motors Canada announced it will assemble the new Class 8 Hino XL Series in Woodstock, Ontario, beginning in early 2019. Full specifications, including pricing and warranty plans, will be announced later in 2018. The Hino XL Series will initially be offered in a variety of 4x2 and 6x4 straight truck configurations in Canada with gross vehicle weight ratings ranging from 33,000 to 62,000 pounds. All Hino XL Series trucks will be powered by the Hino A09 engine with up to 360 horsepower and 1,150 pound-feet of torque available in 6x4 models. 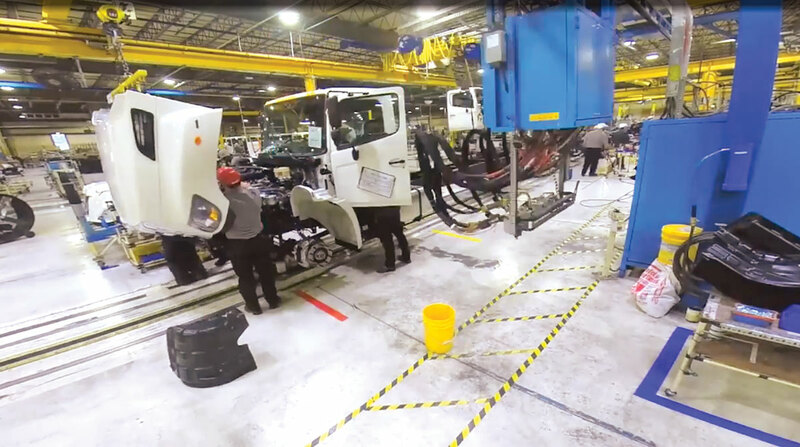 A range of wheelbases will be offered to make this a versatile truck for a wide variety of applications in Canada, according to the Mississauga, Ontario-based company. Hino plans to launch the straight truck models first and gradually expand the offerings to include tractor models. The lineup introduces new active safety solutions such as electronic stability control and collision mitigation systems, a first for Hino in North America. The XL Series announced earlier this year for the U.S. market will be assembled at a new factory in Mineral Wells, W.Va., currently being outfitted.